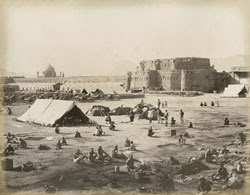 Afghanistan, 1833-1933: "From Kabul to Kandahar: 1833-1933," an exhibition that runs through 1 June at the Royal Geographical Society (London), features a selection of the Society's historical photographs, drawings, and lithographs related to Afghanistan as well as travel journals and maps. From scenes of Kabul's marketplaces in 1842 to panoramic views of Kandahar taken after the second Anglo-Afghan war of 1878-80, these materials provide a revealing insight into the communities, customs, and histories of this mountainous country. At Untold London, writer Sara Wajid notes that the RGS's collections are a valuable resource "for those wanting a deeper understanding of the historical relationship between Muslim cultures around the globe and the West" and provide "surprising and useful traces of a long, complex, and intimate relationship between Britain and Muslim countries." Also at Untold London: "Afghanistan, Then And Now," a review of the exhibition by Kate Smith and a list of places to find Afghan history in London, from the British Museum to the Turkmen Gallery in Eccleston Street. Shown here: Artillery square and main bastion of citadel, Kandahar, 1881, RGS. India, 1857: Amardeep Singh recommends an Open Source interview with William Dalrymple, author of The Last Mughal: The Fall of a Dynasty, Delhi, 1857, which tells the extraordinary story of the last Mughal emperor of India, Bahadur Shah Zafar (see my post of 17 February featuring an excellent Time.com review of the book). As Singh notes, Dalrymple suggests a parallel between the behavior of the British in the years leading up to the Mutiny of 1857 and the attitude of today's neoconservatives on regime change and the spreading of democracy throughout the Middle East. London, 1892: Martha Ann Erskine Ricks, born into slavery in Tennessee in 1817, spent 50 years chasing her dream of meeting Queen Victoria. 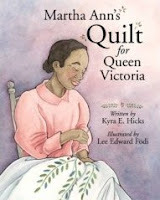 Her true tale is told in Martha Ann's Quilt for Queen Victoria, a new children's book by Kyra Hicks with illustrations by Lee Edward Födi. In 1830, after Ricks' father bought their freedom, the family moved to Liberia, where young Martha Ann watched British warships protecting the African coast from slave traders. As a result, she wanted to see for herself the woman she thought of as a good Christian and a "friend of the slave." She decided to thank the queen by making her a silk quilt inspired by the coffee trees that grew on her family's Liberian farm. The quilt featured a trunk with more than 300 pointed green leaves with plump red coffee berries delicately hand-appliquéd onto a white background. 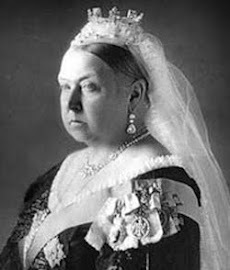 Finally, in 1892, when Martha Ann was 76, she traveled to England and presented her quilt to Queen Victoria at Windsor Castle. This is an inspirational story about perseverance and faith that provides a perfect introduction to the Victorian era for children. 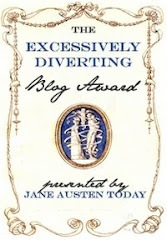 Thank you for sharing my new book, Martha Ann's Quilt for Queen Victoria, with your blog readers. I hope everyone enjoys this true story of a remarkable woman and quilter! Her story made newspaper headlines in England, West Africa and the US!